This is Lisa Kalahar’s fifteenth year teaching at Holy Spirit School, although she spent nine years in the halls as a student herself! Mrs. Kalahar’s three children attend or graduated from Holy Spirit, continuing the legacy. 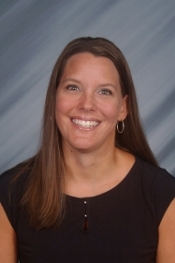 She earned both a bachelor’s degree and a master’s degree in Early Childhood Education from Grand Valley State University. Mrs. Kalahar loves spending time with her family. In addition, she loves swimming, going to the beach, and simply enjoying as much SUNSHINE as possible during the gorgeous West Michigan summers in order to recharge for the next class of Holy Spirit Titans! What’s Happening In Our Kindergarten Classroom?